Never been too into Jordans myself but as I get older I can appreciate the hood classiness of a pair haha. These are something else entirely but they maintain a Jordan-esque look for sure. 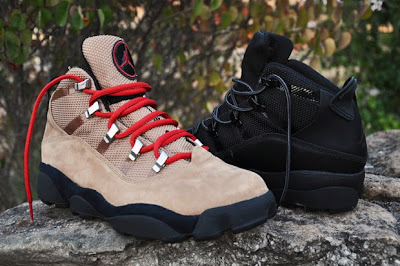 They're a rugged remake of the brand’s 6 Rings hybrid sneaker. Great assortment of premium textiles and a solid construction. I'm definitely feeling the all black joints over the latter.